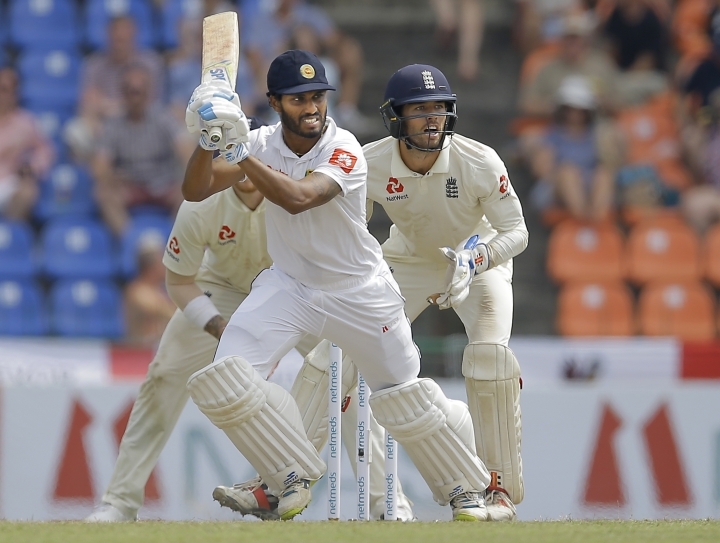 KANDY, Sri Lanka — Sri Lanka fought back admirably against England thanks to a back-to-the-wall 85 by Roshen Silva to earn a first-innings lead of 46 runs in the second test on Thursday. However, Silva's failure to ground his bat and run short conceded a rare five penalty runs to England. 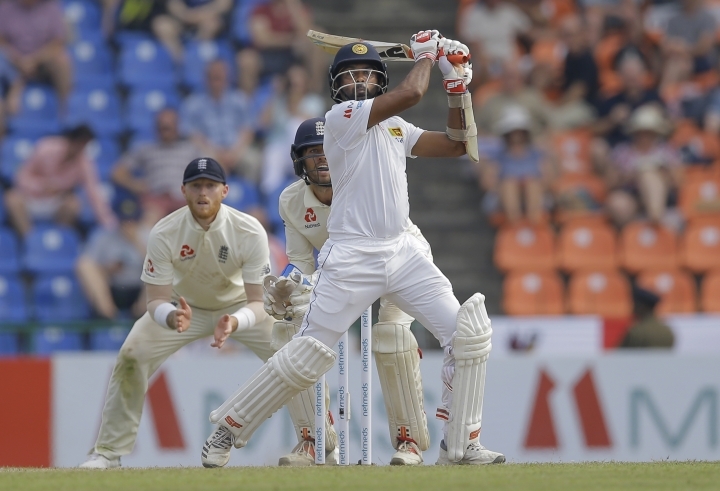 Sri Lanka was all out for 336 in reply to England's 285, boosted to 290 with the penalty runs at Pallekele International Stadium. 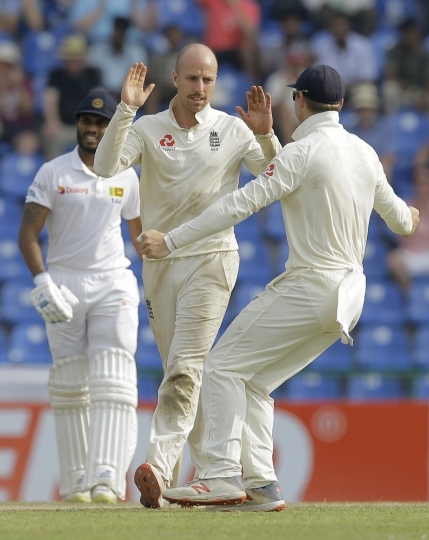 England faced just one over before stumps on day two and promoted Jack Leach to open the innings. 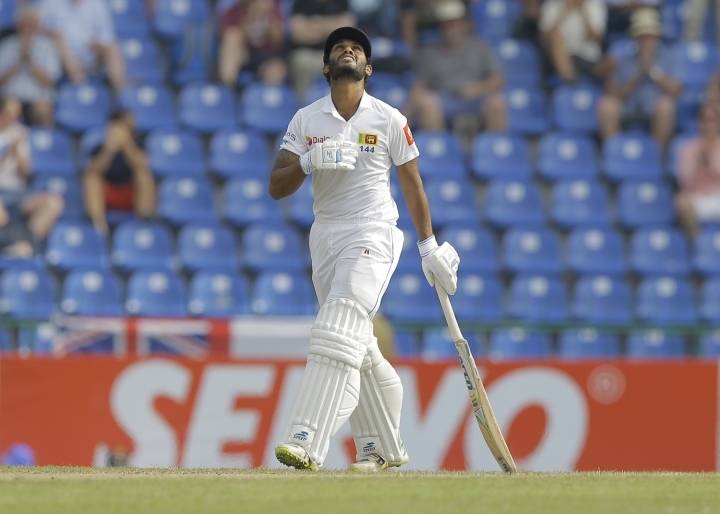 The nightwatchman negotiated six deliveries from Dilruwan Perera without further drama on a day where momentum swung both ways. 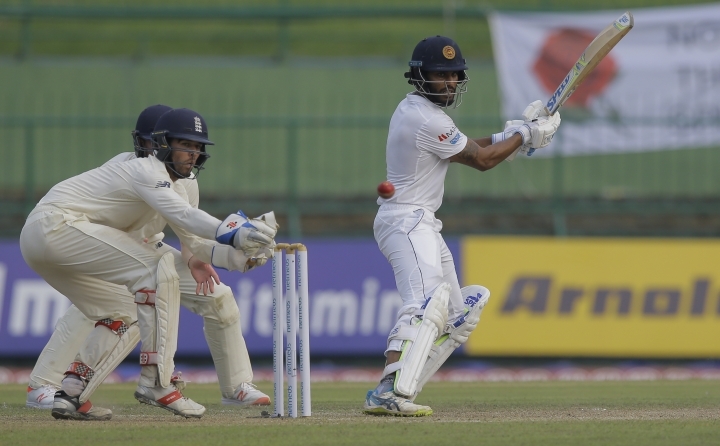 At 165-6 and still 120 runs behind England's first-innings total, the Sri Lankans were under pressure. But Silva put up a magnificent show, teaming with the tail to push the hosts in front. However, the Sri Lankans will still have to bat last on a pitch that has plenty to offer for spin bowlers. 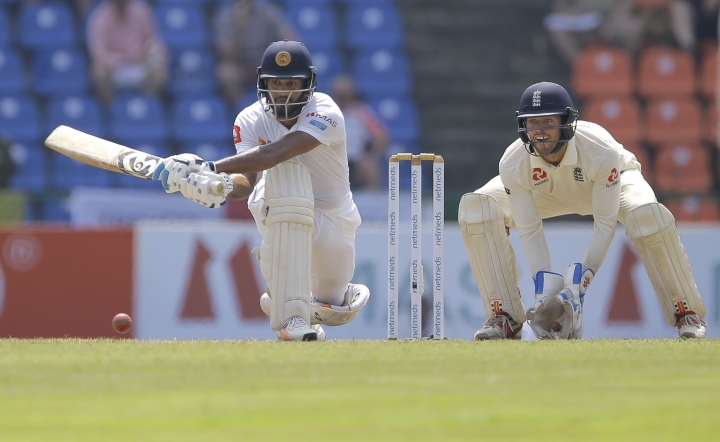 Silva, in for injured captain Dinesh Chandimal was on 6 when Angelo Mathews fell for 20, and from there he stitched some valuable partnerships with the lower order to post a competitive total, Sri Lanka's highest in the series. 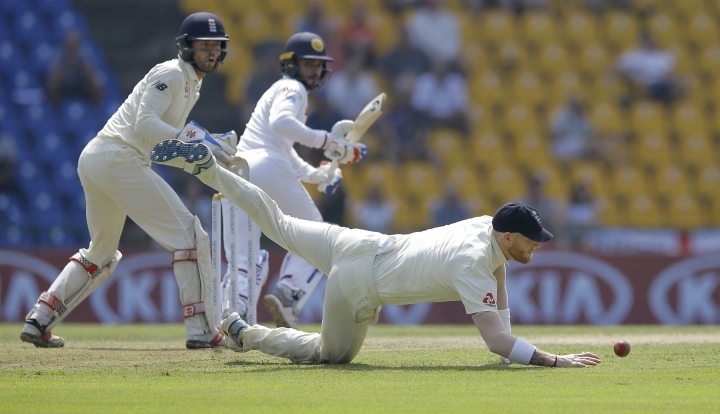 England dropped Akila Dananjaya when he was on 30 as Jos Buttler failed to hold onto a chance off James Anderson. 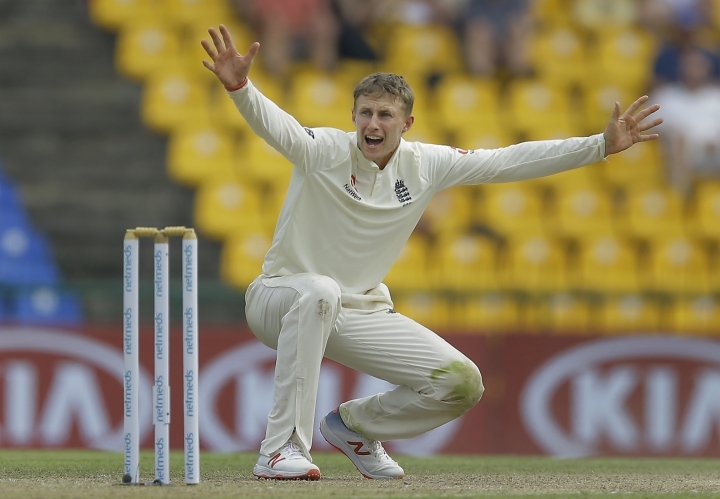 It didn't cost England much as they were able to make the breakthrough when Moeen Ali trapped Dananjaya leg before wicket on 31, but Anderson failed to pick up a wicket in the innings.